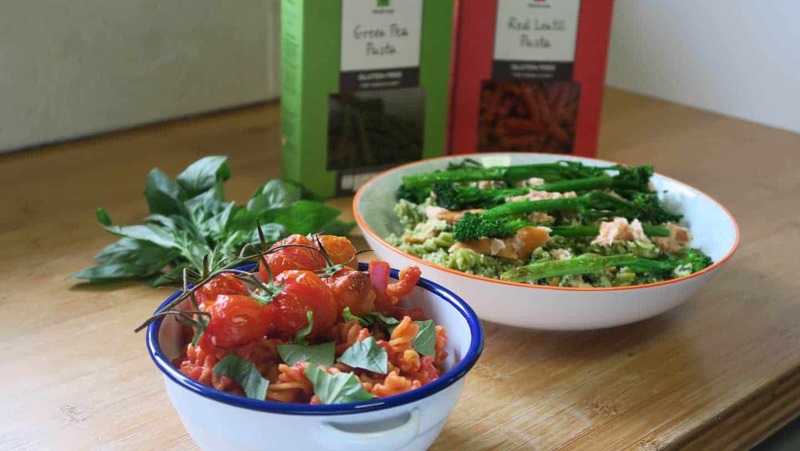 The two healthy gluten free pasta recipes that will transform your lunchbox! This post is sponsored by Waitrose. Quick and easy gluten free lunch ideas can often be hard to find. But when you’re prepping your lunch ahead of time, I think nothing beats a gluten free pasta dish. You can either eat it hot, straight from the pan, or take it to work in a Tupperware and heat it through – or enjoy it cold. Pasta is just so versatile! 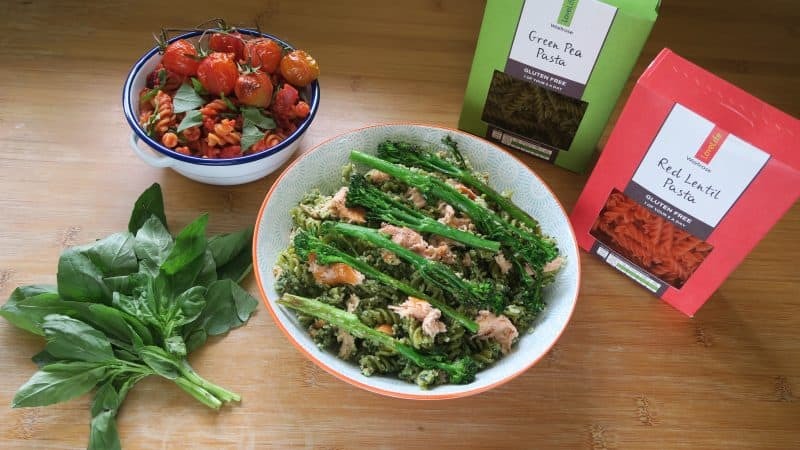 That’s why I’ve teamed up with Waitrose to showcase their Good Health products, which help make healthier choices easier, to come up with not one but two quick and healthy gluten free pasta recipes. 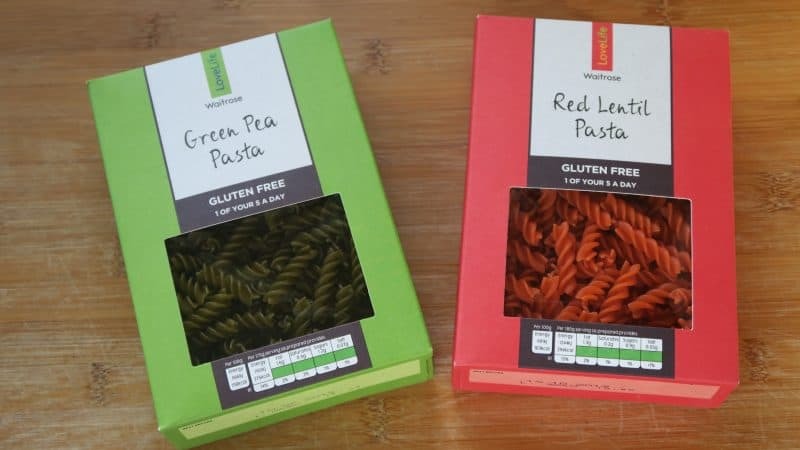 I loved the look of Waitrose’s gluten free green pea and red lentil pastas, which I found in their Free From aisle. I think food should be fun and it took me right back to being a kid and eating multi-coloured dinosaur pasta! 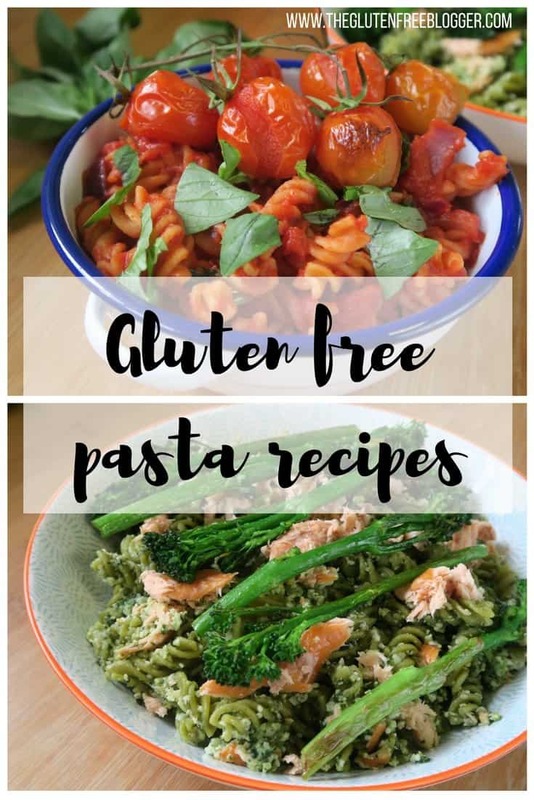 These gluten free pasta dishes are a little more grown up, but as well as using a range of fresh, healthy ingredients, they are colourful and fun too. 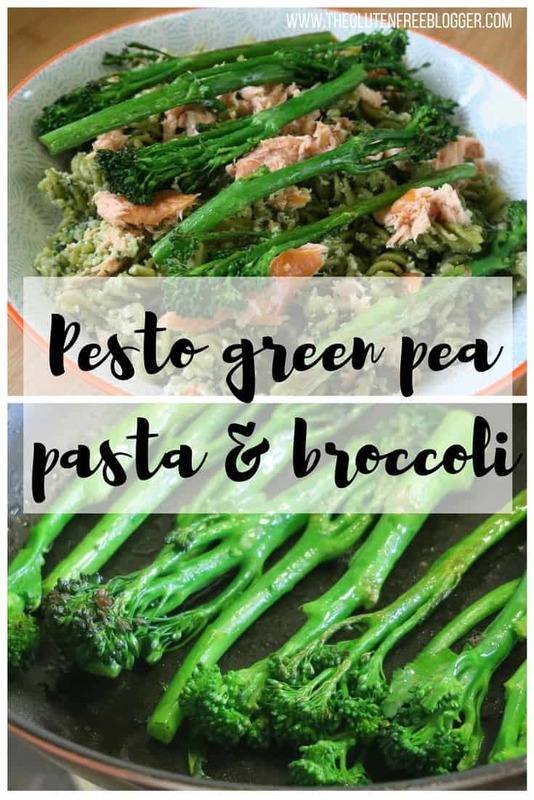 I decided to use the colours of the gluten free pasta for inspiration in these two lunch ideas. 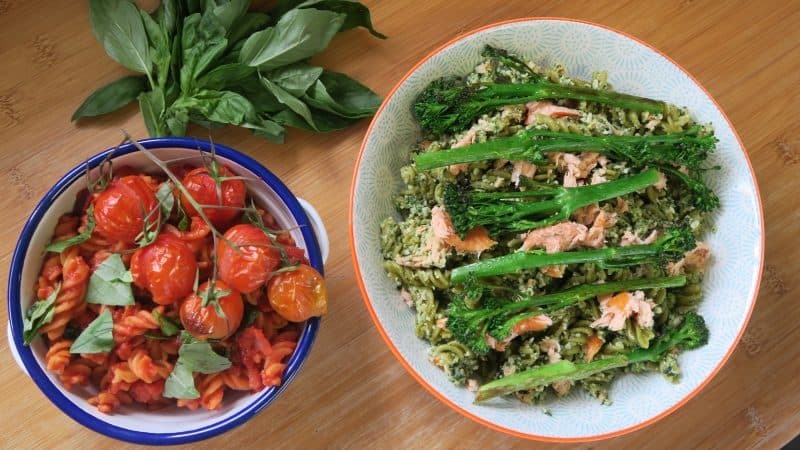 For the green pasta, I create a simple, home-made pesto and teamed it with hot smoked salmon and charred broccoli, for a super healthy lunch packed with protein and Omega 3. 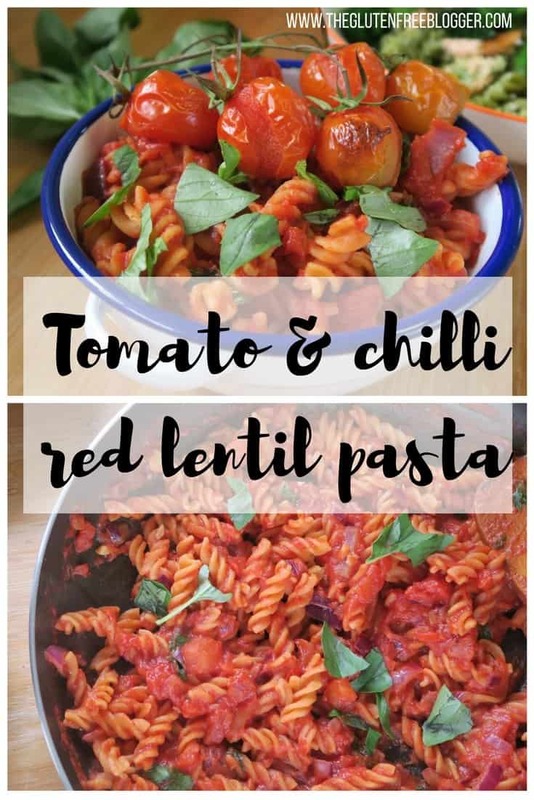 With the red lentil pasta I created a rich tomato and chilli sauce with fresh basil, which is also vegetarian and dairy free. You’ll get a couple of portions of your five-a-day with each dish, but don’t be afraid to experiment and throw in some extra veg if you like. It’s all about having fun with your food! I hope you enjoy these two ideas for a gluten free lunch. 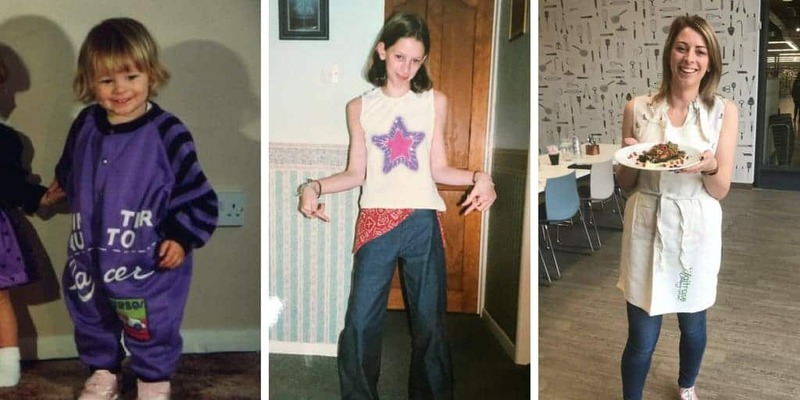 Having coeliac disease shouldn’t mean having to miss out on fun meals. You shouldn’t be sacrificing on flavour or settling for salad every day. I think these are perfect combination of bold flavours, fresh, healthy ingredients, and fun colours. I hope you enjoy them! 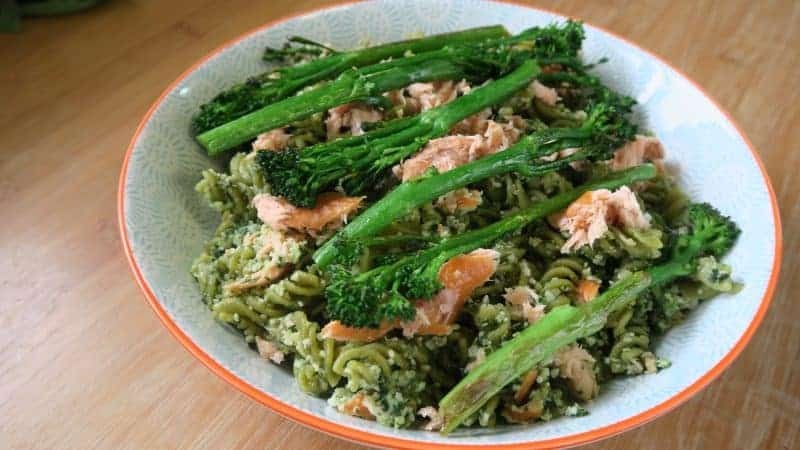 This simple pesto is perfect paired with hot smoked salmon and green pea gluten free pasta - topped with charred broccoli it's healthy and delicious. Cook the pasta as per the instructions (in salted boiling water for 5 minutes for al dente, 6-7 minutes for a little softer). Meanwhile make the pesto by adding all of the ingredients into a food processor. Blend until reasonably smooth and set aside. Steam the tenderstem broccoli for one minute then remove from the steamer. Heat the coconut oil in a frying pan until hot, then add the broccoli stems. Fry for 1 minute or two on each side until they start to get some colour. Once cooked, drain the pasta and add to a pan with the pesto. Add the salmon flakes and mix well. Serve in a bowl with the charred broccoli on top or on the side. 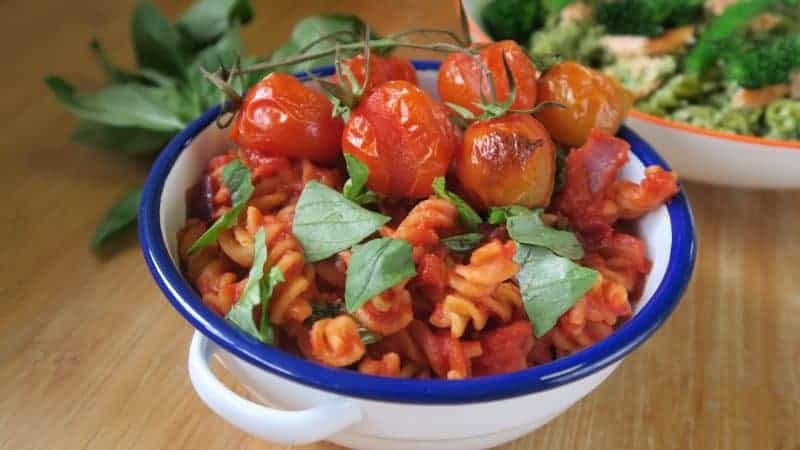 A simple gluten and dairy free pasta recipe, using gluten free red lentil pasta, a rich tomato sauce and vibrant fresh basil. Preheat the oven to 180’C. Place the vine tomatoes on a baking tray and bake for 20 minutes. Meanwhile make the rest of the dish. Peel and chop the onion and garlic. Cut the chilli in half lengthways, scrape the seeds out with a teaspoon and then chop finely. Add the olive oil to a frying pan, turn to a gentle heat then add the onions. Cook for 2-3 minutes until softened on a low heat, then add the garlic and chilli. Cook for a further minute. Add the chopped tomatoes and tomato puree to the pan, stir well, tear in the basil leaves and then cook for a further 2-3 minutes. Drain the cook pasta, add to the pan of sauce and stir until coated. Remove the tomatoes from the oven once cook, and serve the pasta topped with the roasted tomatoes and some more torn basil leaves. 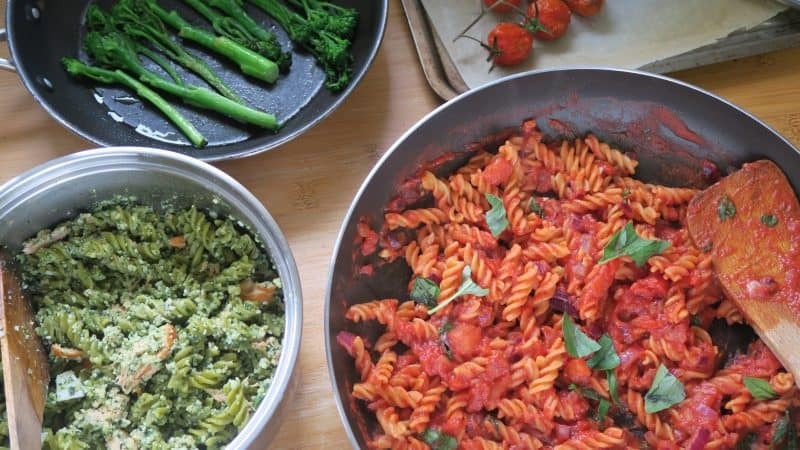 There you have it, two super easy gluten free pasta dishes to brighten up your lunchbox! But which one will you make first? 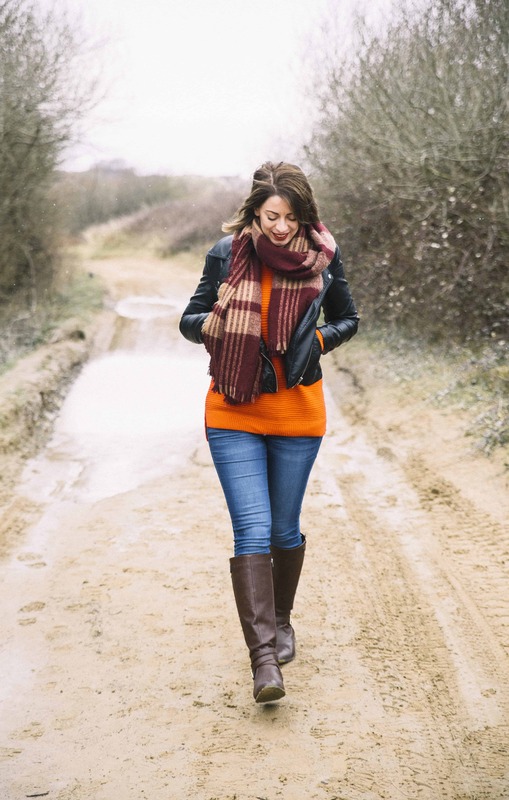 I’d love to see your creations if you give this a go – you can share them in my Facebook group or tag me on Instagram! Like these recipes? Make sure you pin these recipe cards below for later! This post has been sponsored by Waitrose. I sometimes accept sponsored posts with brands I love and trust, but my opinions are always my own. Previous Post What the hell is gluten free wheat starch? And is it safe for coeliacs? Next Post Gluten free Mini Egg cookies – so good you’ll struggle to share them! These look like great recipes. My mum is gluten free and often shops in Waitrose so I’ll share this with her. Oh wow! These look amazing and I love these pastas! Oh my! I love the vibrant colours of these dishes…do you know what? I’m actually really impressed with hoe those pastas are keeping their colour too, normally (and especially with gf) the colour ends up in the water and you get wishy washy pasta shapes! Particularly like the look of the lentil pasta, was in waitrose with my gran on Wednesday, wish I’d realised! It’s great to see Waitrose expanding their free from offerings and these pastas look like a fun option – they would be perfect for a BBQ side, if it ever stops snowing! Perfect for lunch time when you want something filling and healthy too.